Fact # 1: Approximately 54,000,000 Americans have reported being bullied at work. Wow, 54 million people in the United States are bullied at work. I don’t know about you, but to me this is a LOT of people dealing with a situation that should not exist. And what about all the other countries in the world? I’ll get back to you on that as I haven’t done all the research, but if it is this bad around the world, a major change in the work environment needs to take place, and take place NOW. Fact # 2: An estimated 72% of adults in the United States are familiar with instances of workplace bullying. This fact really disturbs me. To me it is saying that 72% of employees have seen, heard, experienced, or witnessed bullying in the workplace. Please, if you are standing by and not getting involved, if at all possible, make a stand. Let the person that is being bullied know that you are on their side and reach out a hand of support. Fact #3: 65,600,000 people are affected by bullying, including targets and witnesses. The effects of workplace bullying is incredible. From my own experience, I have had physical, emotional and psychological effects from the trauma I have had to endure at the hands of a bully. When a person is bullied, they are more likely to take sick days, they are more likely to need medication due to stress or other physical symptoms associated with trauma, they are more likely to be less productive at work. With over 65 million people affected, this has to have an economic impact on our society. Fact #4: 69% of workplace bullies are men and 60% of their targets are women. Truthfully, I am somewhat surprised that there aren’t more male bullies since the workforce is still male-dominated. Hopefully, with the changing times and more women taking on the role of “boss,” this statistic will decrease. I certainly don’t want to research this in a year or two and find out that more women are being bullies because they feel the need to be “tough” in the dog-eat-dog world of business. I guess we will have to see on this one. Fact #5: The targets of workplace bullying lose their jobs at significantly higher rates than the perpetrator (bully). Statistics show 82% versus 18%. This fact just makes me sad. Obviously, bullies are still in control even when they should be fired. Fact #6: Approximately 20% of workplace bullying behavior crosses the line into harassment. To me, this sounds a lot like the definition of a workplace bully. Fact #7: In 62% of cases, American employers can and do ignore bullying despite losing approximately 21,000,000 to 28,000,000 workers because of it. There is no excuse for this statistic. Although it is time for the workforce to stop this behavior. It has to be hurting our economy. Although it is certainly hurting those 21,000,000 – 28,000,000 workers that have left their jobs. Fact #8: 72% of bullies are bosses. This fact doesn’t surprise me at all. For me, not only is the bully my boss, but he owns the business. He has complete control over his employees and he can and does get away with the bullying without any concern. Fact #9: For 45% of bullied targets, stress affects their health and 33% suffer for more than a year. I definitely fall into this statistic. Stress has led to an ulcer and a diagnosis of PTSD. Fact #10: Only 3% of bullied targets will file a lawsuit and 40% of targets never complain. I think the reason that only 3% of targets file a lawsuit is because there are only a couple of states in the United States that have laws against workplace bullying. THIS HAS TO CHANGE. Even though I said I had 10 bullying facts to point out to you, there is one more I would like to share. Fact #11: Most bullying is legal. 72% of employers accept it, encourage it, and deny having it. Again, until there are laws in place in every state that protects the employees from workplace bullying, things are not going to change. We need our state legislatures to hear us. This is not acceptable behavior and NO ONE should have to deal with it. I have done a couple of things to try to make my life bearable while coping with the bully at work. 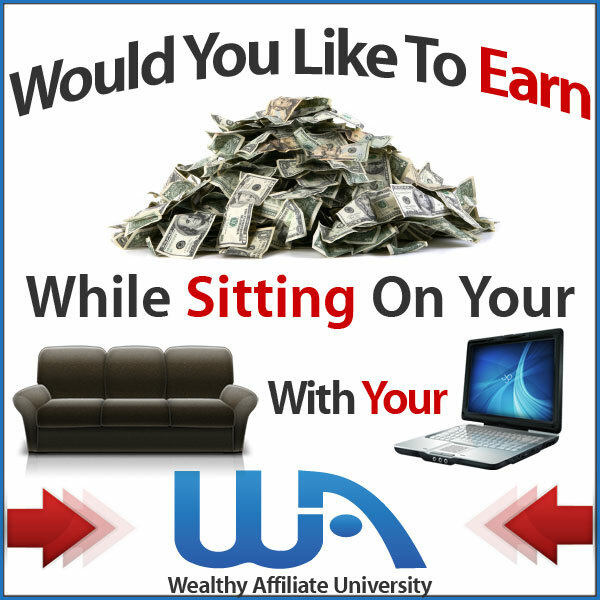 The first thing is I joined a wonderful community called Wealthy Affiliate. This online platform teaches people how to become online entrepreneurs. Although it is not a scam, trust me! It has been amazing for me. I am learning so much and have confidence that I will soon be telling the bully boss “bye-bye!” If you are interested in working from home making money online, here is some information for you. I will be happy to help you through the process and there are many, many others in the Wealthy Affiliate community that are happy to assist. The second thing I have done is I started using CBD Oil. Since my physical condition had deeply deteriorated over the last few years, I was going to the doctor on a regular basis. Unfortunately, the medications he was prescribing had lots of side effects and it became almost impossible to take the prescriptions. A friend of mine suggested I try CBD Oil and said it worked great for stress. My friend was right! I am now medicine-free and feeling so much better! Here is more information on CBD BioCare Oil. My hope since I started my blog has been to reach out to others going through workplace bullying. If you are reading this, you probably are trying to cope with a nasty situation. Please leave a comment below and I promise you are not alone. This is such a great article and I really appreciate you out lining the different facts for bullying in the workplace. I can really identify with many of these factors except my supervisor is female so more of a minority of the bullies. I am always hoping she will come around and understand why her staff keep leaving. This week I attended a conference with my supervisor on how to love your job again. In this conference we learned that to be a great supervisor you need to always smile and look your staff straight in the eyes to let them know you are listening and for them to know that they are important to you, right directly after getting out of this training class my supervisor walks past me as I do not even exist. So now I am trying to figure out how to love your job when you work for a bully? Hi Dena, thanks for leaving a comment. I hate it that you have to contend with a supervisor that is a bully. What was she doing in that conference, sleeping? Obviously, she wasn’t paying attention or for some reason she thinks she doesn’t have a problem. It amazes me how bullies can somehow justify their behavior and just keep right on bullying. As to how you can love your job when working for a bully? I don’t think anyone can. No matter how great the job is, the bully will always get in the way and make it impossible to enjoy what you do. We can hope that the supervisor is either fired or quit and then there can be happiness in the job again. I hope you come back and visit my site and keep me posted on developments with the supervisor. It is Fact #7 that shocks me. And yet, it is something I kind of know that it is really true. At one of my previous workplace, bullying was going on. Not only to me but to many of my ex colleagues. All of us left the place after a short while. And yes, the CEO knew that there was this bullying going on. And kept quiet about it. In fact, it seemed that he liked it as it looked like he believed it kept all the staff on their toes. Horrible! Totally agree with your article. There is no excuse for this to continue to happen. We must stop this behavior. And yes, if this continue, it will hurt the economy. Thanks for your comment Timotheus. Workplace bully is shocking and there has to come a time when the companies figure it out and change the behavior. It is costing them money after all. The amount of turnover due to bullying is outrageous and has to be costing a fortune. It doesn’t make much sense, does it. Companies worry about the “bottom dollar” and yet continue to lose competent employees. I really hope in my lifetime I see the changes that need to be made. I’m keeping my fingers crossed anyway!